Our Branch monthly talk for November is by Vicki Thomas, one of South Africa’s most well known and well loved botanical artists. Here, we delve a little deeper into the world of the botanical artist, and hope you find the reading as enriching as we found the researching. In botanical illustration the emphasis is on the scientific record and botanical accuracy to enable identification of a plant. 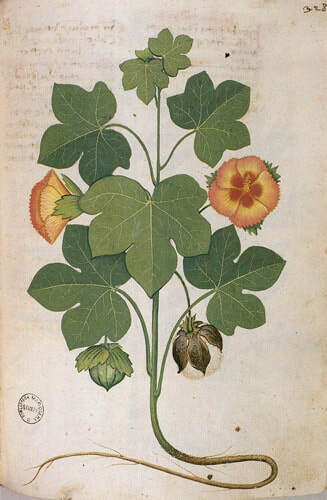 Conventional botanical illustrations are made from live plants or herbarium specimens to illustrate a botanical text (e.g. an article or monograph). Typically, the illustration will depict all relevant aspects of the plant, including the life cycle, that enable accurate identification. It frequently includes relevant dissections for species identification. Over 90% of botanical illustrations are monochrome (drawn in pen and ink or digitally) to permit publication without the expense of colour reproduction. 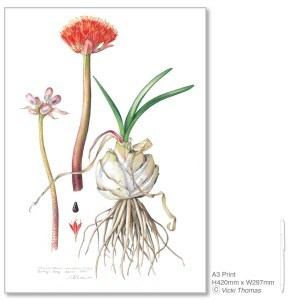 In botanical art the artwork is always scientifically and botanically correct but not necessarily complete. More emphasis is placed on the aesthetic value of the plant or flower but without the requirement for all the information required by the botanists. Artwork is frequently in colour (on a plain background). It may also include a record of the plant growing in its natural habitat. 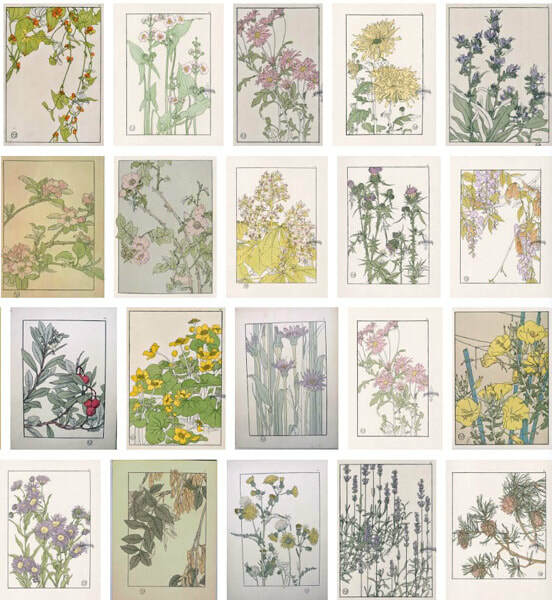 Botanical art may form part of a project and contribute to a flora – records made of plants in a geographical location or garden. In flower painting the emphasis is much more about a pleasing painting and much less on the botanical accuracy or the various features of the flower. Flowers are often found in vases sitting within a still life context – or in a garden or the countryside. The style of painting may be more impressionistic, colours and/or relative size may not be entirely true. Informing or educating for scientific purposes are not of primary importance. People have been drawing and painting flowers for a very long time, and for a variety of reasons and purposes. Books have played a very significant role in the history of botanical illustration and the painting of plants and flowers. Initially, records of plants were made for a Herbal – this is a book of plants which describes their appearance, their properties and how they may be used for preparing ointments and medicines.The German herbalist Leonhart Fuchs (1501-1566) was responsible for the publication of a Great Herbal, called De Historia Stirpium Commentarii Insignes which radically improved the illustration of plants of medicinal use.Botanical artists have also created Herbals. One such example was the enterprising Elizabeth Blackwell (1701-1758), whose husband seemed to have a talent for being involved in dodgy business practices. She undertook an ambitious project to raise money to pay her husband’s debts and release him from debtors’ prison. Her project was a book called A Curious Herbal. 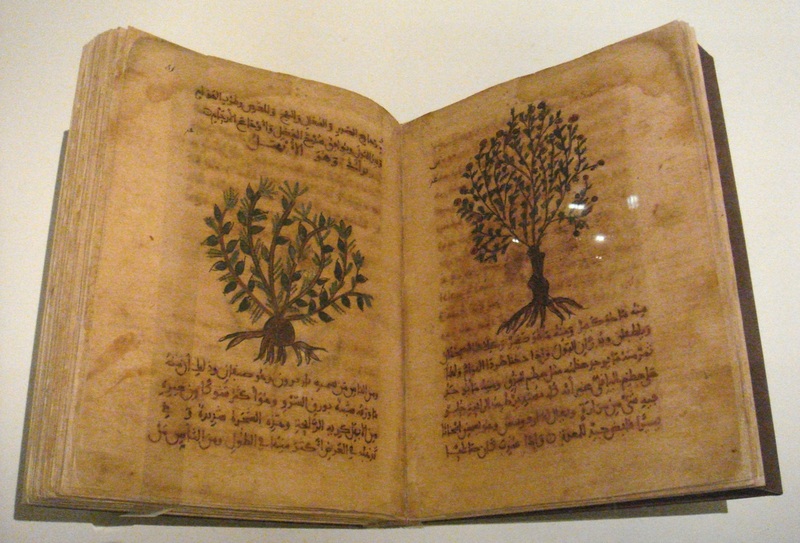 She learned that physicians required a reference book which documented the medicinal qualities of plants and herbs AND included illustrations so it could be used to identify the plants. Prior to her Herbal no such herbal existed in England. The Age of Discovery (15th – 18th centuries) found artists travelling with explorers and scientists to new lands where they collected evidence of ‘new’ plants and flowers. Records were made on their travels and on their return of the botanical material that was collected. For example, Sydney Parkinson (1745-1771) and Ferdinand Bauer (1760-1826) recorded the appearance of new plants and flowers found on scientific expeditions to explore new lands – such as Australia. Parkinson’s work was developed into Banks’ Florilegium. 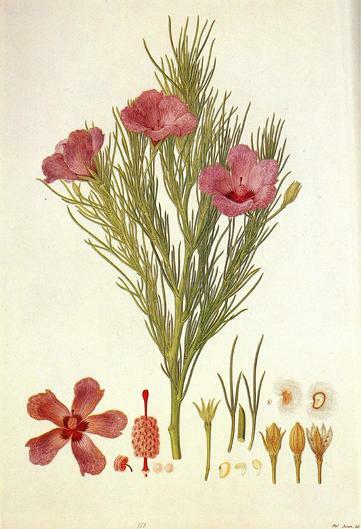 ‘Alyogyne hakeifolia’ by Ferdinand Bauer, based on a drawing by him of material collected on Middle Island, Goose Island or a bay near Cape Aris, in what is now South Australia, in 1802. One of the greatest botanical artists was also a scientist who discovered the process of metamorphosis. Maria Sibylla Merian (1647 – 1717) travelled to Surinam and portrayed the life cycle of insects with their specific host plants of choice. 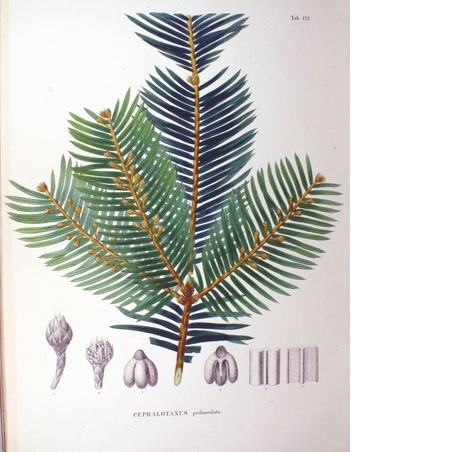 Discovery – and botanical art – continued in the 19th and 20th centuries. Marianne North (1830-1890) did something the botanical illustrators rarely do, she painted plants in situ, within their habitat, all over the world. Margaret Mee (1909-1988) was renowned for her exploration of the Amazon Rain Forest and recording the Brazilian flora she found. Botanic Gardens also became very special places where specimens from across the world either grew and/or were preserved in Herbaria. Early sponsors of botanical art, such as Basilius Besler (1561-1629), developed records of important gardens such as the botanical garden developed by the Prince Bishop of Eichstatt in Bavaria. Subsequently patrons employed botanical artists to complete series of paintings relating to specific gardens. Very famous botanical artists such as George Ehret (1708-1770) and Pierre-Joseph Redouté (1759-1840) both illustrated gardens. Others, such as Franz (Francis) Bauer (1758-1840) spent most of their careers as botanical illustrators associated with a specific garden. Franz was appointed as “Botanick Painter to His Majesty” at the Royal Botanic Garden at Kew. The Golden Age of Botanical Art has been defined by Martyn Rix as peaking in the period c.1750 – c.1850. During the 18th century, botanical drawing also became a fashionable pastime for aristocratic ladies – and a number of prominent botanical artists also acted as tutors. “Botanical Illustration is a genre of art that endeavours to faithfully depict and represent the form, colour and detail of a plant, identifiable to species level. This is the original approach to portraying plants and flowers. 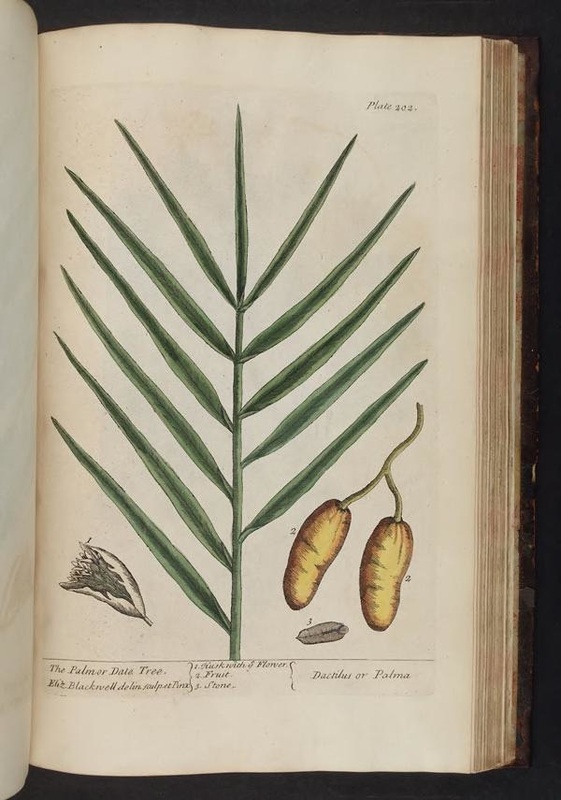 Illustrations for Herbals were for scientific purposes – allowing people to identify plants with medicinal value. 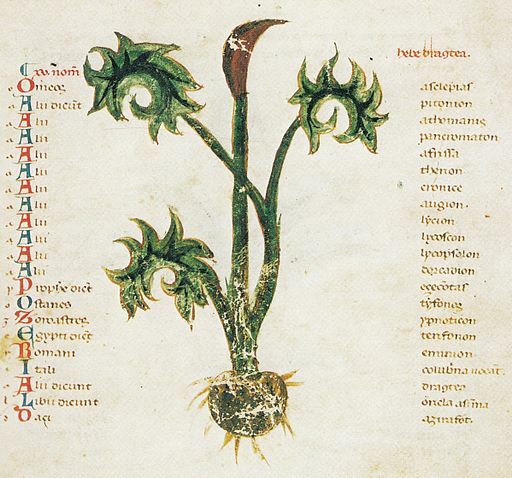 Over time, a technical method of illustrating the botanical features of a plant developed. Or specimens grown in their own garden. Over time artists began to develop ways of portraying plants and flowers which were aesthetically pleasing as well as botanically correct. Botanical art or botanical painting might be described as retaining a lot of the features of the technically correct illustrations while placing much more emphasis on aesthetics and artistry where possible. Such art might not include the complete life cycle of the plant or the dissections which would typically be evident in more “strictly botanical” illustrations. It should however emphasise accuracy in portrayal in terms of scale, form, structure and colour. 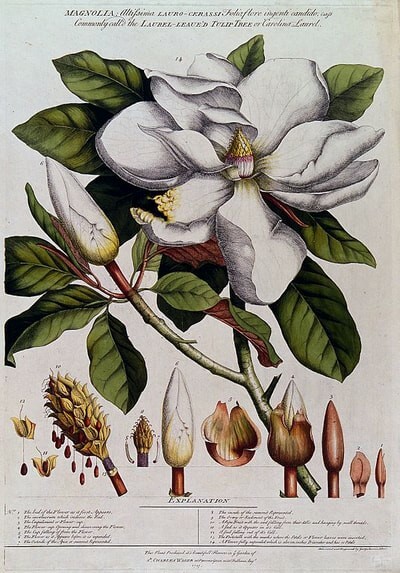 Professional and more experienced artists addressing the botanical aspects of their art often develop a good knowledge and understanding of botany. Having its prominent subject being the scientifically accurate portrayal of one or more plants or fungi . To scale (actual size or scaled enlargement or reduction). subordinated to the plant in their depiction. natural habitat of the plant and subordinated to the plant in its depiction. Reflecting intimate knowledge and understanding of the subject based on firsthand observation by the artist . Botanical artists take information from the plants in front of us, observe the structure, colour, form and beauty of the flower, pass it through our eyes, our brains, our hands, and paint it for others to share. The thing is each artist mingles up in the mix her or his own emotional and intellectual response to what they are seeing. It becomes so much more than a direct visual representation. It is a visual conversation that is recorded by the artist for others to share. It is no wonder we all feel protective of our efforts to portray plants we love, each painting is also a painting about ourselves.